Designing a disc golf course can be a daunting task. While finding a good flow, negotiating obstacles, creating intriguing holes, and designing a fair course are important, safety should always be the top priority. Getting the most pleasing and safe (to both players and park users) course requires careful planning. A good course designer weighs all these factors and more in the process of designing a course. Good design is valuable. It improves both sides of the disc golf ledger. Well designed courses deliver more recreational benefits – they tend to be played more, and those rounds are enjoyed more by the players. From the cost side of the ledger, good design tends to reduce expenses. A good designer creates with the mind set of a steward – working with what occurs naturally and considering maintenance and sustainability down the road. How many holes should we design? One thing we know for certain, 18 hole courses are almost always more successful than 9 hole courses. 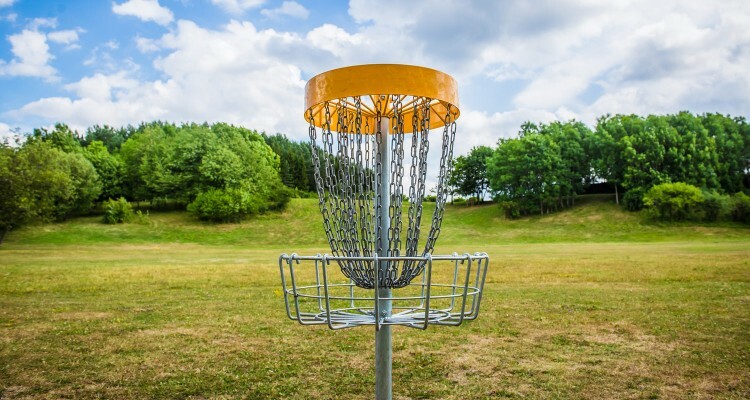 For many of the same reasons that not a lot of golf courses are 9 holes, disc golf tends to thrive in an 18 hole configuration. If you have room for an 18 hole course, people will travel farther to visit your park than if you have 9. If you only have room for 9 holes, consider multiple tees to maximize your investment. A good course designer can help you in making a decision on how large and where to best install your disc golf course. Innova has provided me with the valuable support necessary to ensure the success of my disc golf projects here in the Augusta area. The expertise of their staff is unmatched and they continually set the standards for excellence in the sport. I would highly recommend Innova to anyone interested in disc golf course development.